Someday, the gasoline you buy might trace its heritage to carbon dioxide pulled straight out of the sky rather than from oil pumped out of the ground. By removing emitted carbon dioxide from the atmosphere and turning it into fresh fuels, engineers at a Canadian firm have demonstrated a scalable and cost-effective way to make deep cuts in the carbon footprint of transportation with minimal disruption to existing vehicles. Their work appears June 7 in the journal Joule. Direct air capture technology works almost exactly like it sounds. Giant fans draw ambient air into contact with an aqueous solution that picks out and traps carbon dioxide. Through heating and a handful of familiar chemical reactions, that same carbon dioxide is re-extracted and ready for further use — as a carbon source for making valuable chemicals like fuels, or for storage via a sequestration strategy of choice. It’s not just theory — Carbon Engineering’s facility in British Columbia is already achieving both CO2 capture and fuel generation. The resulting fuels, including gasoline, diesel, and jet fuel, are compatible with existing fuel distribution and transportation infrastructure. Thanks to ultra-low life cycle carbon intensities, they are a promising route for reducing carbon emissions in heavy transportation and other sectors of the energy system that are demanding and difficult to electrify. Keith and Oldham are optimistic that they have reduced scale-up risks by implementing direct air capture at reasonable costs using standard industrial equipment. That means that all the pieces are in place to move on to full-size plants capable of manufacturing 2,000 barrels of fuels per day — totaling over 30 million gallons per year across plants. Commercialization of such plants would allow direct air capture to make a dent in transportation emissions by connecting low-cost renewable energy to low-carbon transportation fuels using Carbon Engineering’s AIR TO FUELSTM pathway. 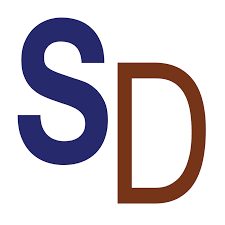 ScienceDaily is one of the Internet’s premier science news web sites, featuring breaking news about the latest discoveries from the world’s leading universities and research organizations on a wide range of scientific topics ranging from astrophysics to zoology.